Following a successful screenings of plays from Shakespeare's Globe shown at the Electric Picture House over the summer, the Wotton Cinema is now delighted to announce that it be showing productions from the National Theatre and Royal Shakespeare Company - with many shows hitting the screen completely live. But first, to coincide with the National Theatre’s 50th anniversarycelebrations, there will be encore NT Live screenings of three of the National’s most acclaimed recent productions:Hamlet, with Rory Kinnear, on 22 October at 7pm; Danny Boyle’s production of Frankenstein with Benedict Cumberbatch and Jonny Lee Miller, from 31 October at 7.45pm; and Alan Bennett’s The Habit Of Art, with Alex Jennings and the late Richard Griffiths, on 7 November at 7pm. 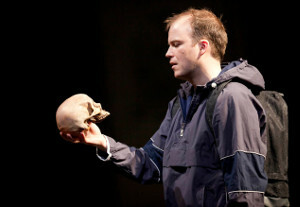 Rory Kinnear won the Evening Standard Best Actor award for his performance as Hamlet in Nicholas Hytner’s dynamic 2010 production of Shakespeare’s complex and profound play about the human condition; the cast also includes Clare Higgins (Gertrude), Patrick Malahide (Claudius), David Calder (Polonius) and Ruth Negga (Ophelia). Hamlet, the prince of Denmark, sees his father’s ghost. Tormented with loathing and consumed by grief, he must avenge his father's murder. What he cannot foresee is the destruction that ensues. This screening on Tuesday 22 October takes place 50 years to the day since the National Theatre Company opened at the Old Vic with Laurence Olivier’s production of Hamlet with Peter O’Toole in the title role. Benedict Cumberbatch and Jonny Lee Miller alternated the roles of Frankenstein and the Creature in Danny Boyle’s sell-out 2011 production, and jointly won the Evening Standard and Olivier Awards for Best Actor. Nick Dear’s play, based on the novel by Mary Shelley, returns to cinemas for Halloween from Thursday 31 October. The screening on 31 October will star Benedict Cumberbatch as the creature, with Jonny Lee Miller as Frankenstein. The play will also be shown on Tuesday 26 November at 7.45pm, with Cumberbatch as Frankenstein and Lee Miller as the creature. Alan Bennett’s acclaimed play premiered in 2009; directed by Nicholas Hytner, the cast was led by the late Richard Griffiths (as W H Auden), Alex Jennings (Benjamin Britten), Adrian Scarborough and Frances de la Tour. Benjamin Britten, sailing uncomfortably close to the wind with his new opera, Death in Venice, seeks advice from his former collaborator and friend, W H Auden. During this imagined meeting, their first for twenty-five years, they are observed and interrupted by, amongst others, their future biographer and a young man from the local bus station. The Habit Of Art is as much about the theatre as it is about poetry or music. It looks at the unsettling desires of two difficult men and at the ethics of biography. It reflects on growing old, on creativity and inspiration, and on persisting when all passion’s spent: ultimately, on the habit of art. 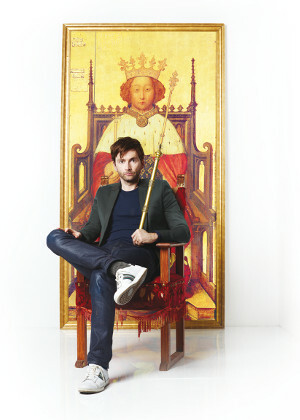 The cinema will also be showing new productions from the Royal Shakespeare Company, starting on Wednesday 13 November with Richard II, starring David Tennant (Doctor Who, Broadchurch) in the title role. Richard is King, ordained by God to lead his people. But he is also a man of very human weakness. A man whose vanity threatens to divide the great houses of England and drag his people into a dynastic civil war that will last 100 years. Ticket information can be found at www.wottoneph.co.uk.